Showing some special plays including Kieu, an adaptation of The Tale of Kieu by one of Vietnam’s greatest poets, Nguyen Du; Hong Lau Mong (The Dream of the Red Chamber), adapted from one of China’s four great classical novels; the world masterpiece Romeo & Juliet by Shakespeare and the war-themed Bao To Truong Son (Truong Son Storms), which takes the setting in the war-torn Truong Son trail. 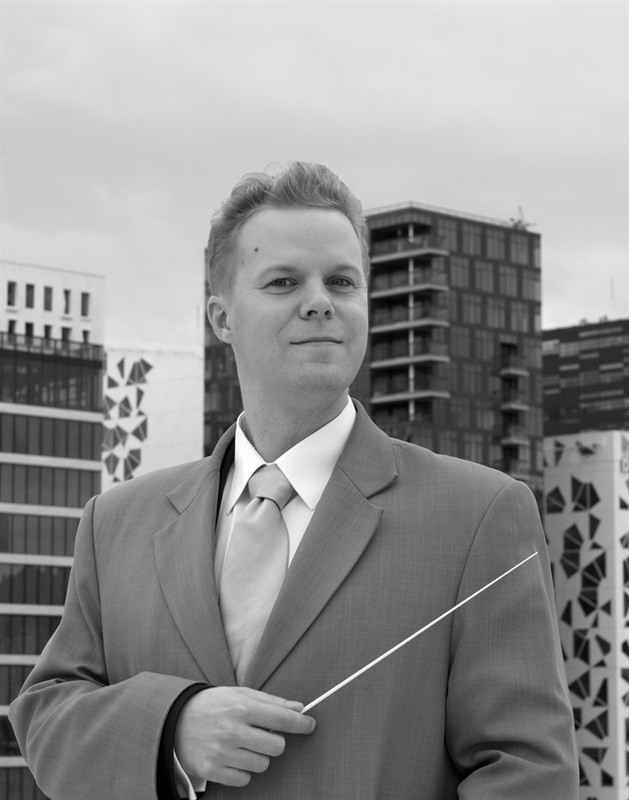 Featuring Finnish conductor Kalle Kuusava with Violin Concerto in D Minor, op 47 and Symphony No 2 in D Major, op 43 by Jean Sibelius, the famous Finnish composer and violinist. Vietnamese-American violinist Vũ Việt Chương will open the show with the concerto, which was written in 1904 and is known as one of the most performed and recorded compositions of the 20th century. 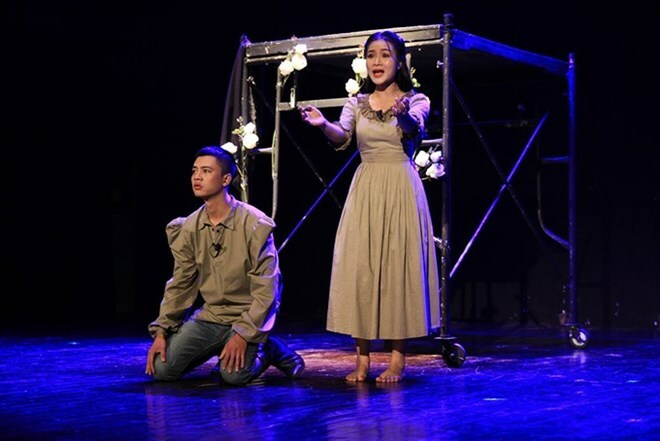 Tickets are available at the venue’s box office or www.ticketbox.vn. Featuring series of cultural activities such as music performances, fashion shows, food fair and others to welcome New Year. Artisans spent several months to create lanterns featuring animal shapes; legendary historical figures, such as Son Tinh-Thuy Tinh, Thanh Giong; architectures Thien Mu Pagoda, 9-storey tower and more. Introducing photos and objects on the Dien Bien Phu in the Air victory on the occasion of the 45th anniversary of the victory. The exhibition is divided into two parts, the ‘Battle of Dien Bien Phu in the Air’ and the ‘Trench of the Command Post of Operations aka T1 bunker’. The trench of the Command Post of Operations, built in 1964, was the place where the country’s leaders received reports and gave directions for the resistance war throughout the country. During the 12 days and nights in 1972, operations from bunker T1 helped shoot down several B52 planes. Displaying nearly 50 photos featuring the Literature Temple by night. The photos highlight the unique architecture of various buildings inside the temple complex, such as Khuê Văn Các pavillion, roofed areas for doctorate stales and the Đại Thành worship building. 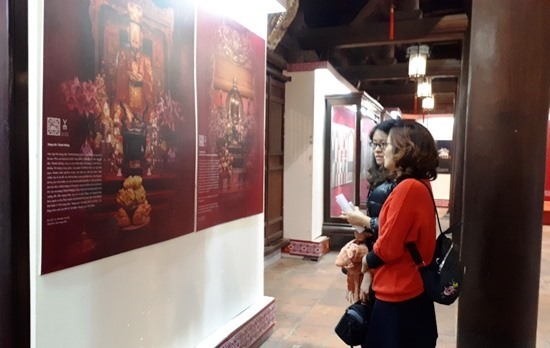 The exhibition also features values of 82 stone tablets in the complex, which record the royal examinations held under the Lê-Mạc dynasties (1442-1779) placed at the complex. Inventors of “truc chi”, an artistic medium in which the artist’s designs are printed onto a special form of paper, are organising camps for artists and students. An exhibition will be held on December 25 in the city for showcasing the work. An exhibition of archival materials capturing the influence of French culture. Introducing 150 documents, photos and artifacts that showcase French colonial influence on Hanoi’s architecture, education and culture. It is divided into three sections, titled From an Asian City to a European-styled Capital, the Adoption of Western Education and Mission to Preserve Memories of Archives. 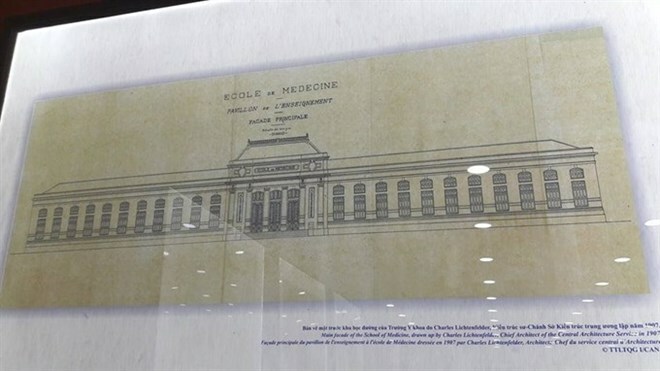 Images of renowned French constructions, such as the Hanoi Opera House, the Government Guesthouse, Presidential Palace, Hanoi Railway Station and Long Bien Bridge, are also on display. Decades after the colonial period, the structures are the proud heritage of the capital city.